Wir sind begeistert von der Vielfalt an Naturkosmetikprodukten, die der Markt mittlerweile bietet. Weniger begeistert sind wir davon, dass die meisten nach wie vor in Plastik verpackt sind. Suvi Haimi und Laura Kyllönen haben 2016 hierfür eine sinnvolle Alternative entwickelt: Sulapac, eine finnische Materialinnovation aus Holz und natürlichen Bindemitteln. Es bietet all die Vorteile von Kunststoff, aber ist vollständig biologisch – ganz ohne Mikroplastik. Wie es dazu kam, welche Schwierigkeiten sich bei der Positionierung ergaben und wie sie persönlich mit Müllvermeidung umgeht, haben wir Suvi gefragt. Notiz: Weil unser Finnisch noch nicht ganz so gut ist, haben wir uns für ein Englisches Interview entschieden. 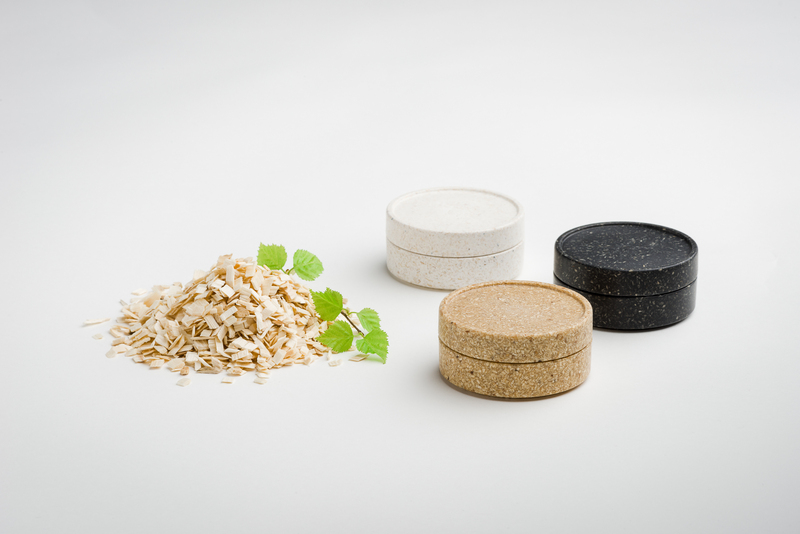 Sustainable packaging material made of wood sounds pretty exciting. How did you come up with this idea? Me and Laura were both wondering if we could do something for the huge number of plastic cosmetic packaging in our bathrooms. We are both biochemists and specialized in biomaterials, so we started thinking how to change this somehow and leave a bit better heritage to our children. Unfortunately, plastic is still the only good packaging solution, especially when it comes to liquids. Can Sulapac compete with plastic packaging? What are the advantages? Sulapac’s biggest advantage compared to plastic is that it is 100% biodegradable, microplastic-free and also liquids can be stored in Sulapac packaging. Sulapac outperforms other sustainable alternatives in terms of price, barrier properties and biodegradation speed. Plastic manufacturers can use their existing machinery with the material so no major investments are needed. The market for packaging material seems to be solid, we can imagine that it is not easy to get a foot in it. What difficulties did you have to face? What were your learnings? Consumers start to understand and see the big picture. If nothing changes, there will be more plastic waste than fish in our oceans by 2050 and microplastics will penetrate everywhere in the ecosystem. Consumers already demand new alternatives and most probably therefore sustainable packaging is the fastest growing packaging segment. We bumped into disbelief in the beginning, but we think technologies and materials will develop way faster than we think. Start-ups, like Sulapac, will play significant role in this as they can scale new innovations fast into new business models without too heavy bureaucracy. We encourage global brands to think outside the box, invest more in new sustainable innovations and get them involved in saving the world from plastic waste. You specialize in packaging for cosmetics. Why is this? Do you want to expand your action space? 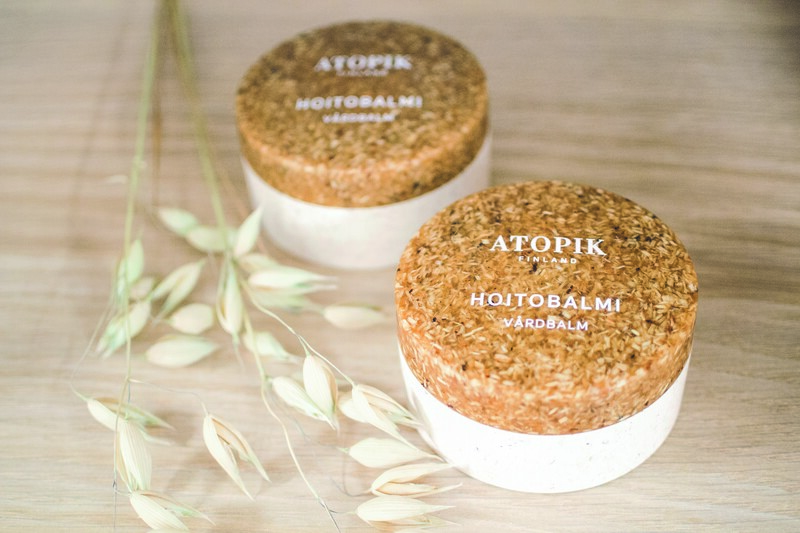 We started with cosmetics as many cosmetic brands want to be forerunners and show direction on sustainability. For us it has been a very positive surprise to see how interested big brands are about Sulapac material and that they invest time and effort in becoming the thought leaders in sustainability. Eventually consumers drive the change and demand better sustainable alternatives, so I believe forerunner brands will be the winners. We have already expanded our portfolio to foodstuff. Our first foodstuff customer Fazer will start by launching a confectionery gift box for Christmas 2018 that uses a Sulapac solution. Let’s talk about your personal life. Apart from what you do for a living is there anything you do to reduce plastic waste in your private life? I try to avoid the use of single use plastic products such as plastic cups and water bottles and always prefer products packed in fully biodegradable packaging whenever possible. Outside daily goods, I choose products and clothes that are made of materials designed to last long term use and recyclable after use. Lust auf weitere Interviews? Spannend fanden wir auch das Interview mit Magdalena Norkauer, die in Berlin den veganen Lieferservice „Fresh Parsnip“ sowie das plant based Restaurant „Mana – Glow Food“ gegründet hat oder das Interview mit Marian von DAWN, der über das Social Art Project „from fair wear to love affair“ spricht.